I remember a time when Facebook was trading below 20, and they had very little to no mobile ad revenue. 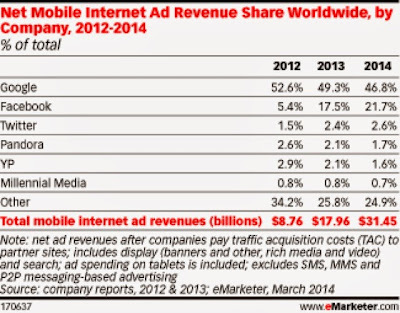 Now it's a $170B company with 65% of its revenue coming from mobile ads. The change happens fast. Yahoo is in a similar position. Yahoo had over 400m users on mobile (ex tumblr), and started to place ads in their popular mobile apps. As of today Yahoo's core business is getting no respect. Mostly because the data suggests it. Yahoo should be putting up the numbers soon. It's time. The systems (content and Ad management) are in place.